We are pleased to invite participation in the 4th International Symposium on Intelligent Decision Technologies, IDT-2012, to take place in Gifu, Japan, organised by KES International. The conference is interdisciplinary in nature and will consist of keynote talks, oral and poster presentations, invited sessions and workshops, on the applications and theory of intelligent decision systems and related areas. It will provide excellent opportunities for the presentation of interesting new research results and discussion about them, leading to knowledge transfer and generation of new ideas. KES-IDT-2012 will be colocated with the 5th KES International Conference on Intelligent Interactive Multimedia Systems and Services (KES-IIMSS-12) in Gifu offering the potential for interaction between the two events. 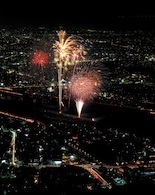 Gifu, located in the centre of Japan, is a city ideal for international conventions and sightseeing. 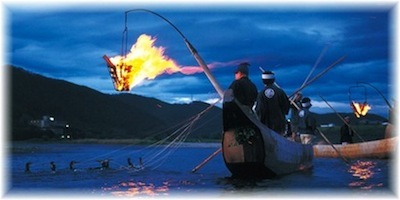 Gifu City is known for its traditions and rich history, including its 1300-year-old tradition of cormorant fishing on the Nagara River and Gifu Castle. Editors: Watada, J.; Watanabe, T.; Phillips-Wren, G.; Howlett, R.J.; Jain, L.C. The book web page is available .. here ..